You haven’t held a pistol since the end of the Civil War. You’re on your way to Texas from Tennessee to fulfill your fathers dream of running a ranch. 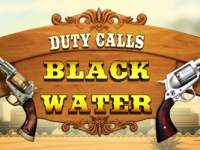 Plans change when you witness a Sheriffs murder and become Deputy of a small dusty town, Black Water. You didn’t ask for any of this – but can’t just let the townsfolk suffer. Duty calls! 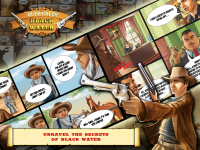 Find out what is really going on in Black Water and what is at stake, for everyone. 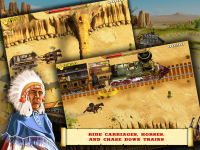 Beautiful comic strips unfold the story as you fight your way through each chapter of this dramatic quest. 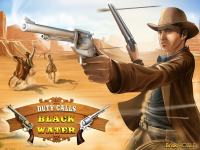 Fight epic battles as you learn what’s really going on in Black Water. 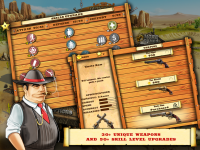 Explore a huge selection of skills, like Quick Draw to give the Deputy an edge. 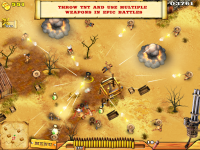 Pick from a wide variety of weapons from revolvers to shot-guns – if things get too hairy you can always light up a stick of dynamite!